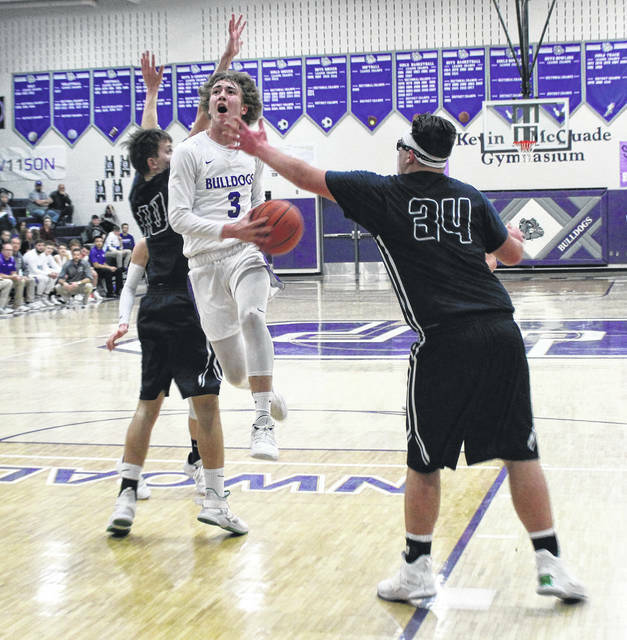 Randy Slink of Swanton gets inside for a layup versus Wauseon Friday night. 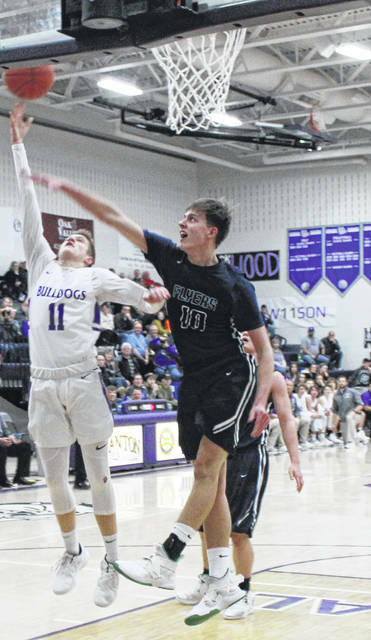 He finished with 11 points in that contest, then scored 12 in the Bulldogs’ 45-28 win over Lake on Saturday. Dylan Gilsdorf of Swanton works his way toward the basket against Lake. Jared Wilson of Swanton goes in for a contested lay up against Lake on Saturday. Josh Vance of Swanton flies toward the basket during the Bulldogs’ win over Lake on Saturday. 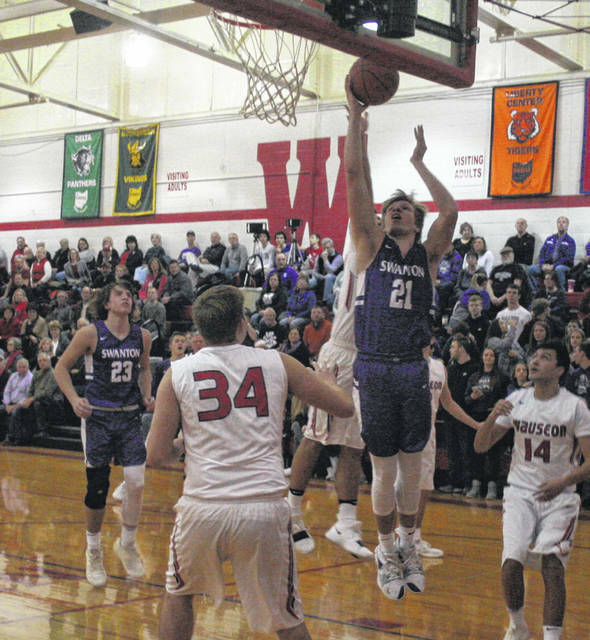 Swanton fought hard throughout the game’s entirety, but Wauseon went on a 12-2 run from the middle of the third quarter and into the fourth, ultimately leading the Indians to a 54-43 victory over the Bulldogs in Northwest Ohio Athletic League boys basketball Friday. “They kind of wore us down with some screening action,” said Bulldog mentor Joel Visser. “Really going to their (main) guys. I mean outside of Seiler and Armstrong, they didn’t even look to really shoot the ball. I should have made some adjustments to do a little doubling on the block. Do some things differently. But, we felt good about our matchups against their two guys. Give them a lot of credit. Armstrong and Seiler played tough down the stretch. Seiler led the Indians with 18 points. Wilson had 16 and Slink 11 for the Dogs. Swanton got back in the win column Saturday, winning at home versus Lake 45-28. The Bulldogs jumped out to an early 7-2 lead and held an 11-4 advantage after one period. 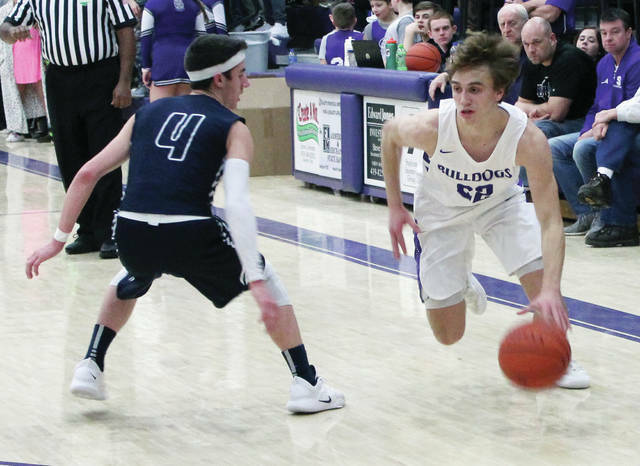 The Swanton defense stymied the Flyers the entire night with the Dogs taking a 20-12 halftime lead. They extended the lead to 32-20 heading into the final quarter. They had three in double figures as Wilson scored 13, Slink 12 and Thornton 10. Swanton (7-10, 1-3 NWOAL) welcomes Liberty Center (5-9, 1-3) in league play Friday.